Made from 100% cotton, this Solid Color Beach Towels is breathable and perfect for your hands and body. It is hypoallergenic and comfortable to touch, making it ideal for people with skin allergies. This towel is 100% pure and soft, chemical-free, and the natural dyes are safe for you and the environment. 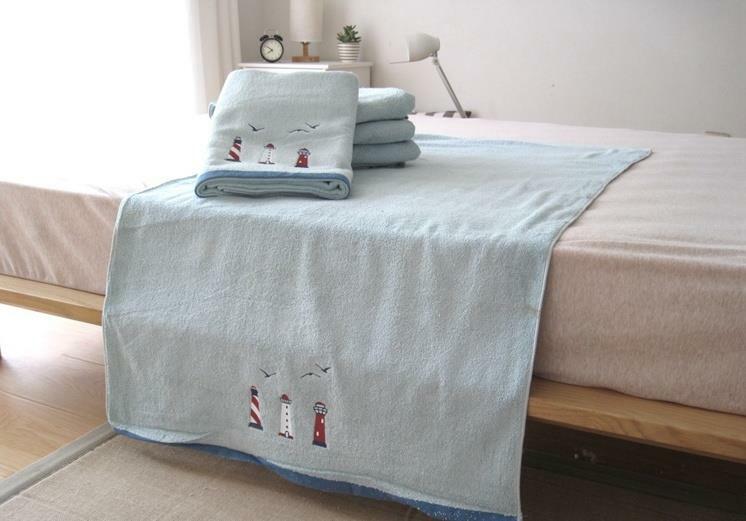 We recommend that you clean the towels before use, as the fabric will soften after each wash. Solid Color Beach Towels is a textile without chemical dyeing. It is completely non-polluting during processing, contains no harmful substances such as formaldehyde and azo dyes, and has anti-itch and anti-static functions. It is a green product in home textile products. " Solid Color Beach Towels are usually hung in the bathroom. It should be noted that the bath towel should be hung away from the toilet, because the water droplets splashed when the toilet is flushed can fly several meters high. How many bacteria are known to everyone. Bath towels are the items we use on the skin, so we can't let these bacteria get on, so it's best to hang the bath towel away from the toilet, at least 3 meters away.